General objective of this report is to analysis Credit Risk Grading and Limit Setting at Eastern Bank Limited. Other objectives are to explain the Financial practice in Banking Business and examine the Credit Risk Policies and practices at Eastern Bank. Report also focus on to gather the actual knowledge about the HR operations in the organizations. Finally draw SWOT analysis based on Credit Risk and suggest recommendation. Borrower’s ability to repay again depends on various factors, like financial risk, business risk, operational risk, management risk, country risk, natural forces risk etc. An analysis of some of the classified accounts revealed how these risks played important roles in the borrower’s not being able to repay in the sectors previously identified as risky in this report. In Bangladesh, most of the firms do not have professional management and are run by inexperienced people. EBL gave loans to many such companies without checking the competence of the management in running the business properly. As a result, some classified loans occurred due to management’s failure to run the business profitably. The forces of cost and prices have huge impact on the profitability on the business. For example, it was seen in many classified accounts that the borrower suffered increase in cost of raw material which it was unable to pass on to the customers. This was especially true for the borrowers in the ship-breaking sector where the borrowers had to purchase scrap ships at a relatively higher price for a short period but could not pass on the cost increase to the customers because of poor demand in the market. Similarly, drop in prices of finished products also affected many borrowers negatively. For example, many of the classified trading concerns had imported various items at relatively low prices, but when they tried to sell them, they found that the increased competition had forced the prices of the products down. As a result, they could not recover their costs completely. Thus, costs and prices affected many borrowers’ profitability and therefore repayment. Some of the borrowers were unable to meet supply order or work order on time and therefore suffered huge losses which resulted in their classification. For example, there have been plenty of instances in the RMG sector where the client was unable to meet shipping deadlines because of political unrest, labor unrest, electricity problems etc. which resulted in a stock lot situation. At times, the client had to send shipment by air to meet deadlines or had to receive partial payment for late shipment. Because of these losses, many accounts in the RMG sector became classified. Most of the classified clients failed to repay their loans because of various business risks. Decrease in demand or increase in supply played key roles in the classification of different accounts. For example, in the trading industry, many firms became classified because of lack of demand of their products. Similarly, some of the real-estate construction companies faced increase in supply in the market and therefore were unable to sell the properties and recover their costs properly. A factor which is equally important to the borrower’s ability to repay is the borrower’s willingness to repay: If the buyer does not have genuine willingness to pay back the loans, then the loan will most likely end up as classified even if the borrower’s financial condition is good. There have been plenty of instances where borrowers took loans from EBL for various purposes but never paid back the loan properly. This incidence is common to all the sectors of business. Previously (before 2002) there was no standard loan evaluation, approval and disbursement process and no strict loan monitoring policy. As a result, there were lots of irregularities in loan disbursement and recovery of EBL. This is one of the main reasons why EBL incurred so much classified loans and advances. Previously, there was no centralized Corporate Banking Department and therefore the relationship with the client was maintained at the branch level by the branch manager and the branch credit officer. In this decentralized structure, head office management had poor control over the loan disbursement and monitoring process. They only got involved during the time of loan approval and yearly renewal. On the other hand, the branch employees had significant control over the operations of the credits. Sometimes they used their discretions over head office approval in disbursing loans and collecting repayment. For example, once a client in Chittagong was allowed to draw loans upto TK 28 crore against an approved limit of only TK 5 crore as the branch manager was sure that the client would be able to pay back the extra amount very quickly. However, the client could not pay back the loan completely which resulted in a large classified amount. Also, previously the loan applicants’ background was not checked on a strict basis. Sometimes the credit officers failed to corroborate the information and documents provided by the client through face-to-face contact, factory/office visit, financial data checking etc. As a result, there have been instances where client took loans through fake documents and never paid back the money. In some instances, the credit officials also failed to monitor the loans properly. Since there was no requirement of reports like Account Profitability, Portfolio Review statements etc., there was no strict monitoring of the client’s stocks, earnings, etc. on a regular and timely basis. As a result, the concerned credit officials failed to detect deterioration in the client’s financial position on time. After CRGS is being followed in a very short time, Eastern Bank Limited has put in place lots of standard policies and procedures for the purpose of proper evaluation and monitoring of a loan. This is how the loan approval and monitoring process is structured now. Loan approval and monitoring is a long process. The first part in this process is the Loan Evaluation; second part is Loan Sanctioning; third part is Loan Monitoring and fourth and last part is Loan Recovery. 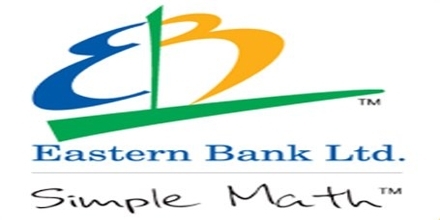 At present, EBL’s Loan Evaluation and Sanctioning is done by Corporate Banking and Credit Risk Management through Credit Risk Grading Setting, Loan Monitoring is done by Corporate Banking, Credit Administration and CRM while Classified Loan Recovery is carried out by Special Asset Management Department. After the restructuring process (which begin from the year 2007-08 under Bangladesh Bank supervision) of EBL and introduction of new credit policy, the loan approval and monitoring process has improved a lot through the Credit Risk Grading Setting. It has now become almost impossible for a client, who is not worthy of credit, to get loans. However, it will take some time before the effects of the new policies will become apparent, as some poorly sanctioned loans of the past will continue to become classified. But the situation of classified loans and advances will definitely improve in the future. As it is reflecting in past 3 year’s level of classification, which is downward.